On 21 June 2016, The Minister for Resources, Energy and Northern Australia, the Hon. Josh Frydenberg, announced the move to lower the mandatory disclosure threshold on commercial office buildings from 2000 square metres to 1000 square metres. The media release can be found here(link is external). This expands the scope of the program to cover smaller office buildings and spaces and will come into effect from 1 July 2017, after a one year transition period. Under the changes a Building Energy Efficiency Certificate will be required whenever an office space of 1000 square metres or more is offered for sale or lease and a current NABERS Office Energy rating will need to be included in advertising. By continuing the Commercial Building Disclosure (CBD) Program and reducing the mandatory disclosure threshold to 1000 square metres, the program is projected to provide a reduction in end use energy consumption of 17,395 TJ, abatement of over 3.5 million tonnes of greenhouse gases and deliver around $60 million in benefits over the period from 2015 to 2019. The changes also mean that prospective buyers and tenants of smaller commercial buildings will be able to make more informed choices about energy efficiency when purchasing or leasing a property. Lowering of the disclosure threshold is complemented by a decision to increase the Tenancy Lighting Assessment validity period, also known as a TLA, from one to five years. Changes to the TLA validity period requirements are proposed to take effect for all new TLAs submitted from 1 September 2016. This means that building owners already covered by the program will now enjoy extended validity for their TLAs, which reduces their regulatory burden. These changes follow a comprehensive review of the CBD Program earlier this year and public consultation on the proposed changes to the program. The CBD review found the program had delivered a reduction in end-use energy consumption of 10,020 TJ, abatement of 2 million tonnes of greenhouse gases and has delivered $15 million in benefits ($44 million if you include GHG reductions) between 2010 and 2014, by improving the energy efficiency of Australia’s large office buildings. The CitySwitch Green Office program in Victoria is currently offering financial assistance for NABERS Energy assessment ratings (tenancy or whole building) for organisations signing up to CitySwitch Green Office before 31th Dec 2014. Make sure your company takes advantage of this offer which is open to small, medium and large sized enterprises and not for profit organisations across Victoria. Up to $9,000 is available per organisation to go towards the cost of your rating which must be undertaken by an Accredited Assessor and completed by 30th Jan 2015. Once organisations gain a point of entry to energy efficiency, CitySwitch can then provide ongoing support as well as recognition for Signatory efforts including an annual awards program, toolkits, case studies and regular information sessions with other dedicated sustainable leaders. In line with the economy, the property market in Australia is in a period of sustained recovery; those looking to sell or lease a property are starting to see some real benefits to their business. Concerns about the cost and disruption to their business of BEEC and NABERS, as well as the difficulty of selling or renting out property, might have prevented those businesses from acting until relatively recently. Now is a good time for the market and for most businesses, that will mean needing a BEEC rating. If all of this can be provided up front then it will make the process run smoother and faster and we can give you a far more accurate NABERS rating and CBD lighting assessment that you can pass on to potential customers and promote in the marketing literature for the property. It must be remembered that you are legally obliged to keep the records on any property over 2000sqm and produce a BEEC for any prospective client that wishes to see it – the NABERS rating especially must be present in the literature. Your property will also be listed on the Building Energy Efficiency Register. The BEEC is valid for up to twelve months and will expire when either the NABERS rating or the Lighting Assessment comes up for renewal (whichever is first). There are advantages to constantly having these details up to date though, particularly when it leads to energy consumption awareness for buildings and that could lead to a reduction in your energy bills. Legally, it will only need to be updated ahead of any sale or prospective new period of lease. Before the election in 2013, the Federal Government announced plans to make present BEEC information available online. At present, the information on the database at the CBD website contains only historic data. With the recent release of the LEASA app for mobile devices, we are possibly a step closer to having all of the current BEEC data available, meaning that those businesses who seek energy efficiency as main attribute to new property will have an easier task in future. Laptops, desktops, mobile phone networks, the internet, the cloud, storage space for intranets, company servers, government databases… the list of virtual space that we need in this digital age is immense and as new online technologies develop we are going to need more and more data storage space and power to keep it operational. It isn’t just the devices where the actual data is stored either, many of the data centres that keep us connected to the world wide web also need to be kept cool and as we all know, air conditioning also uses a lot of power. It is said that Data Centres consume around 2% of the world’s power supply – and that is a lot. Internet use is expected to grow five-fold between 2011 and 2016. Australia has until relatively recently been slow to look at IT and data centres as net consumers of power and how we might go about tackling the growing needs of tomorrow with the environmental issues of today. Because of the special nature of data centres, the NABERS system for these particular types of premises took a lot of consultation over three years. Many agencies were involved in the development of the programme – national and international organisations – in order to fully understand the requirements of data centres. 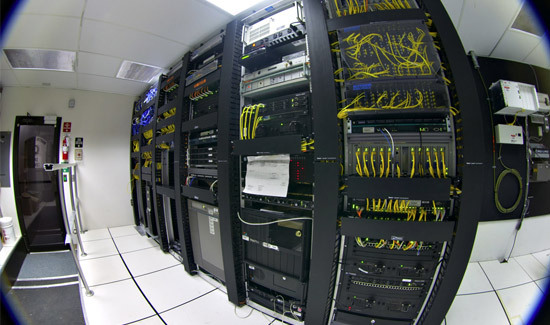 The NABERS system for data centres varies from the other systems (office blocks, hotels and apartment blocks) due to the different requirements but it still uses the recognisable 1-6 system rating where 3 is the average and considered to be of typical consumption rate for buildings of that type. As with every other building using the NABERS system, it is in the best interests of the data centre managers to reduce their power consumption as much as possible. As high volume users, energy bills are going to be amongst the most expensive per square metre of space of any building type. There are three types of NABERS ratings for data centres; it is important that you know which one applies to your organisation. This rating combines both of the above ratings and is ideal for those businesses who manage both the building and the IT equipment. This is most suitable for businesses which own the building and pay the utility bills in which their IT server equipment is stored. The world is now well on the road to economic recovery and the property industry of Australia is expecting growth across the board in 2014: residential, commercial and industrial. They are also stating that there is a clear and definite increase in the number of new builds right across Australia. This is good news not just for the industry, but for everyone. New building projects means more jobs and with the property industry claiming to provide the lion’s share of Australia’s GDP, as well as employing more people than any other sector, it should be only a matter of time before we all reap the benefits. Those in the property business will be breathing a sigh of relief that this period of recession has come to an end because a property market boom means more demand and more demand means more building work, more employment, more money in the market and consequently greater profits. If you are looking for new premises to rent or purchase then there may be the opportunity to find some bargains amongst existing buildings or to be the new owners or first occupiers of coveted new builds and all of the in-built energy efficiency savings. Because of this fierce competition, property developers and owners have a vested interest in keeping up with their competitors. One of the main issues they might attempt to trade on is a building’s NABERS rating. Though a legal requirement for any building over 2000sqm which is on the market for sale or rent, the free availability of the BEEC and NABERS information permits prospective clients or buyers to factor in their energy needs. A high NABERS rating demonstrates a commitment to the environment and in purely business terms, to cost saving. It is a highly competitive market then, so it is in your best interest to do everything you can to improve the rating of your property. The economic recovery might be underway and businesses might be feeling positive about their future but that does not mean that they will not be looking immediately to how they might save money on their utility and other running costs. If you already have a NABERS rating, unless it is very high (5 or 6 star) there are many things you could do to improve your rating and keep your property competitive. If you do not presently have a NABERS rating and looking to lease or sell your premises then you will need an assessment ahead of this. It is now a much easier for businesses to find energy efficient buildings in their area. RICS – the Royal Institute of Chartered Surveyors – has just released an app called LEASA. It is available on Android and Apple products and comes with a Choosing and Managing Energy Efficient Space guide. The guide explains how to use the software and how it may help benefit you as a business no matter what stage you are presently at – whether you are looking for new premises or hoping to save energy to improve your NABERS rating. It is available worldwide and works in conjunction with relevant authorities and national surveyor organisations. As far as Australia is concerned it takes data directly from the registered BEECs and puts it into a searchable database. The app does not just help you to find the best office available for your business, it also aids in reducing your energy consumption and all you need is a recent bill. You can do this through the Energy Bills Tool. Put as much information as you can from your energy bill including the total kwh rate and the actual cost of the bill. The Calculator option on the app helps you to work out the relative cost of your lighting. This is a variable cost not only affected by wholesale prices but also by how efficient your business is at not leaving lights on unnecessarily, using energy efficient bulbs, the floor area and of course how much lighting you have on your premises. Do you have too many installed? Could you switch half of them off and still leave the premises sufficiently lit? When you do your BEEC search on the app for available premises, it will also show the lighting score of each building. The BEEC option allows you to compare tenancies registered score for both BEEC and NABERS. BEEC data is also automatically included in the Tenancies tool. One of the most interesting developments is that if a building does not have a BEEC then you can manually enter the Net Lettable Area (NLA) and Nominal Lighting Power Density (NLPD) manually. Both of these ratings are usually held by the Lettings Agent.